WITHERING SOUL – Rising from the Metal shadows of Chicago, Illinois, Withering Soul has left me somewhat spellbound by their brand of Black Metal. No Closure is their debut full-length, scheduled for a March 8th, 2011 release on Mortal Music, with distribution via MVD Entertainment Group. Seriously, I did not have any pre-conceived thoughts about Withering Soul and their debut album upon my pushing the play button. Halfway through No Closure, I was extremely entertained and gratified by the all-encompassing melodic and Blackened sound that Withering Soul has tapped into. As each song played out on No Closure, I was awaiting that one song, perhaps two songs that would fall flat to the ground. It never happened. Withering Soul has all their gears rotating with Blackened precision and I truthfully declare there is not a dull moment to be heard on No Closure. Mykil on vocals delivers the evil tones with Black and Death Metal variety. It’s Mykil’s Blackened fury that takes center stage though and he is a feast to listen to. Mykil’s brother Krystofer on guitar and synths lends the melodic thickness and orchestrated atmosphere of darkness, a combination that swirls together with fantastical results. Night of the Revenant and Requiem of Sorrow are two atmospherical instrumentals that lead me down a darkened path with somber walls caving in around me. These two melancholic songs are what sets Withering Soul apart from being just another all-out Extreme Black Metal band. 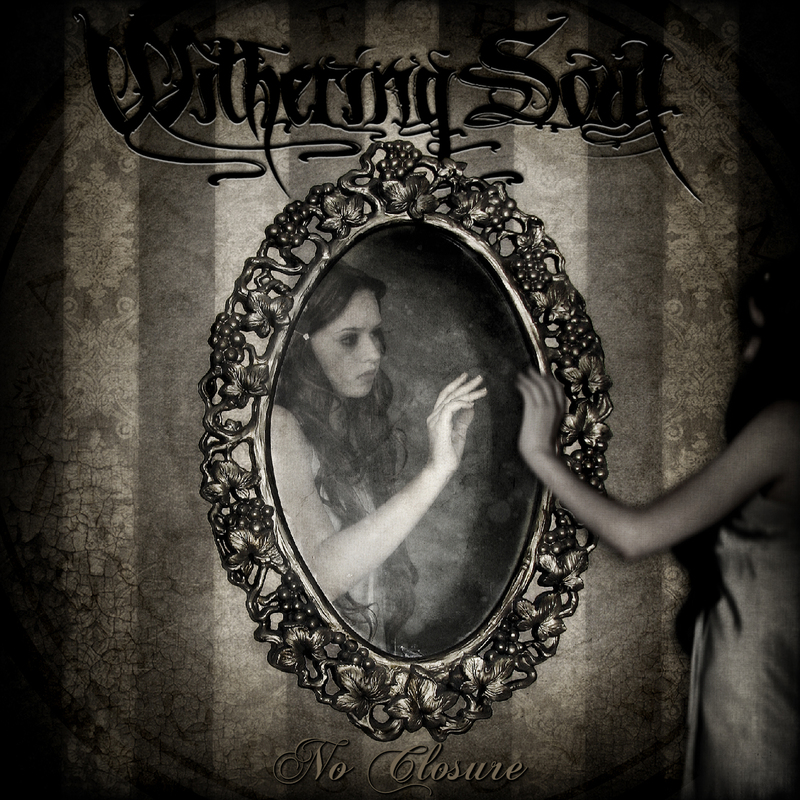 Withering Soul doesn’t just go for the jugular from the opening note on No Closure, instead, this is a band that takes a reflective tone towards their music by slowing the Extreme Blackened momentum down to a crawl on both instrumentals. This tempered down instrumentation can have a profound affect on the mind and both Night of the Revenant and Requiem Of Sorrow are surreal moments that I embrace. Sadistic Redress, Tides of the Accursed and The Sequitor are three songs that I single out for grand Extreme Black Metal reason… they each exemplify how Withering Soul can play toe-to-toe with their Extreme peers of any Metal genre. On each of these songs Mykil’s vocal rage (and range), high-speed tempo and full-blown Extremity of Metal musicianship are carved out in Blackened stone. The layering of sounds that Withering Soul creates are reminiscent of Cradle Of Filth, yet what I take away from this album is calling this band an original, without question. An underground vibe pulsates enormously within the songs of No Closure, with one exception: Unquiet. This song begins with Traditional Metal guitar licks that continues throughout it’s entirety. Guest vocalist Melissa Ferlaak provides her symphonic touch to Unquiet, giving this song an accessible multi-genre appeal. Coupled with Mykil showcasing his diverse vocals along with a strong hint of Goth vocals, this song truly excels. With Unquiet, the significance of being unique is brought out to the open by Withering Soul, showing this band is unafraid and unashamed to branch out musically within the context of an underground Black Metal style. I find Unquiet to be an admirable creation and dynamic listen by Withering Soul. The darkened ambient feel that Withering Soul has created on No Closure is indeed an alluring Metal attribute. Symphonic Black Metal is served up with muscular guitar parts and a heavy laden rhythm section on their debut full-length. Make no mistake, Withering Soul is giving out extreme doses of Black Metal vibes and sounds through their music, only this band is not over the top with their style or sound. Withering Soul does convince me of their reverence to this majestic Black Metal genre that so many of us uphold as the ultimate Metal mystical experience. 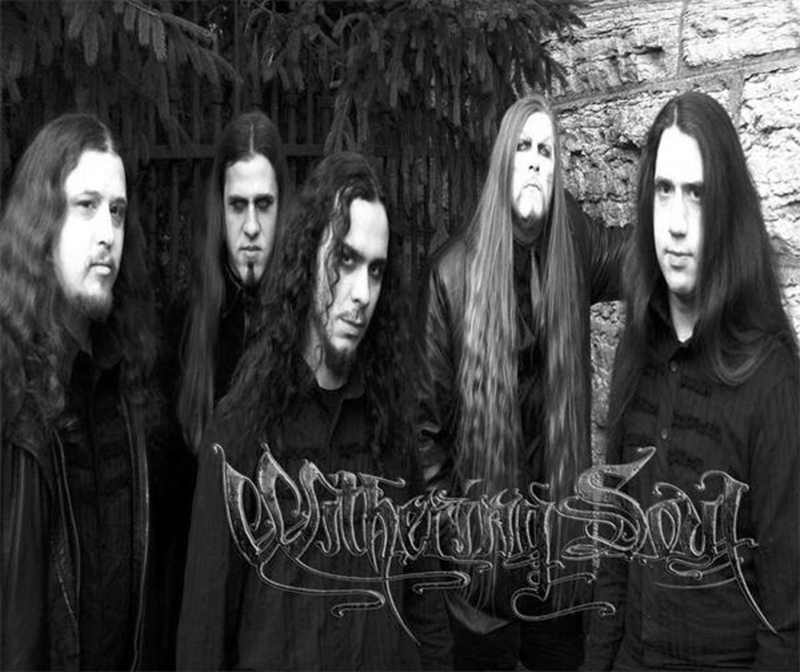 Withering Soul have created ten songs that are unbelievably memorable for my senses. No Closure is a debut album that may very well be the measuring stick of Withering Soul’s future Black Metal catalog. * Melissa Ferlaak is an American Soprano and the lead singer for Echoterra. * For more info on WITHERING SOUL, click on the links below! This entry was posted on February 20, 2011 at 8:39 am and is filed under Black Metal, Extreme Metal, Heavy Metal, metal music, metal odyssey, Music, rock music, rock music news, symphonic metal with tags Black Metal, black metal album 2011, Extreme Metal, heavy metal albums 2011, metal music, metal odyssey, no closure album review, rock music news, symphonic black metal, withering soul. You can follow any responses to this entry through the RSS 2.0 feed. You can leave a response, or trackback from your own site.